Watch a great interview with the two guys who foiled a robbery in Australia a few days ago. I have to admit I could not understand everything said in this piece, but it was strangely hilarious! Edit: here’s a brief translation of some of the Australian words used, just in case you didn’t know what a plugger was.. 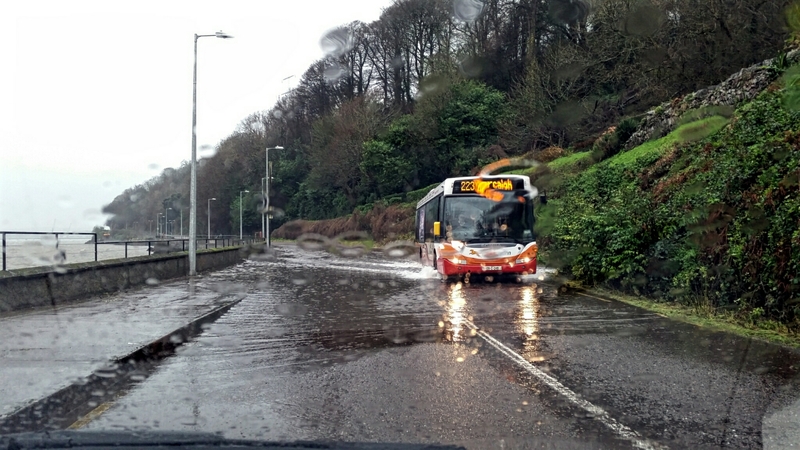 The road to Monkstown flooded this afternoon. We had already navigated the floods between Rochestown and Passage but this was especially deep. I put on the blinkers and stopped, a car behind me went ahead, raising lots of water all around his wheels. I took a detour, and passed the same car going back.. Weird. This bus came through a moment later leaving a sizable wake behind it!